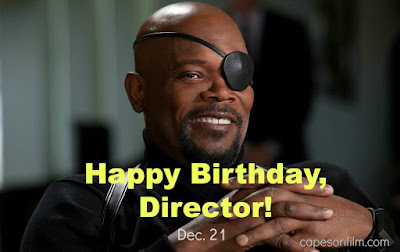 Happy Birthday Samuel L. Jackson (Dec 21)! Just wanted to share a tribute to one of the icons of the Marvel Cinematic Universe - Mr. Samuel L. Jackson - AKA S.H.I.E.L.D. 's Nick Fury! I mean, can you imagine the MCU without Samuel's contribution as the Director of S.H.I.E.L.D. and the character responsible for assembling The Avengers? Samuel was born in Washington, D.C., and he's appeared in six Marvel movies as of 2015.